Call for papers: A special issue of Journal of the Australian Mathematical Society dedicated to Alf van der Poorten. 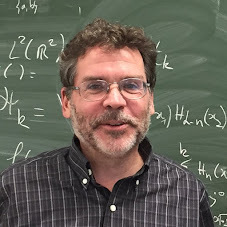 We solicit submissions in all areas of mathematics, and especially in the areas close to the research interests of Alf van der Poorten (e.g., recurrence sequences, continued fractions, diophantine approximation, and p-adic numbers). The submission deadline is 1 May 2011. We hope to have all submissions evaluated and make the acceptance/rejection decision by th end of October 2011 with the goal to have this issue to appear early 2012. Please direct all submissions to Igor Shparlinski. Why Do William Lane Craig's Views Merit Respect? Harun Yahya Blames 9/11 on "Darwinists"